I don't really talk much about my job on my blog, but that doesn't mean that it isn't an important part of my life. It doesn't define who I am by any means, but it is something that I've worked really hard to accomplish & I'm proud of the accomplishments that I have made in my career to get here. I work for the Seattle Mariners in Corporate Sponsorships... managing sponsorship accounts by means of executing all aspects of contracts and ensuring that everyone is happy & that I'm fostering a mutually beneficial relationship with my clients. I've been in this position for almost three years (and in professional sports for about six years). It's been (and continues to be) a position where I am always learning and developing lasting relationships. One part about my job that I love (very much) is that I get the opportunity to assist the community relations department from time to time. A lot of our sponsors have community programs that I help to execute & that is by far my favorite part of my position. This past week I was able to join the community relations department on their annual bus tour around Washington & NW Oregon. 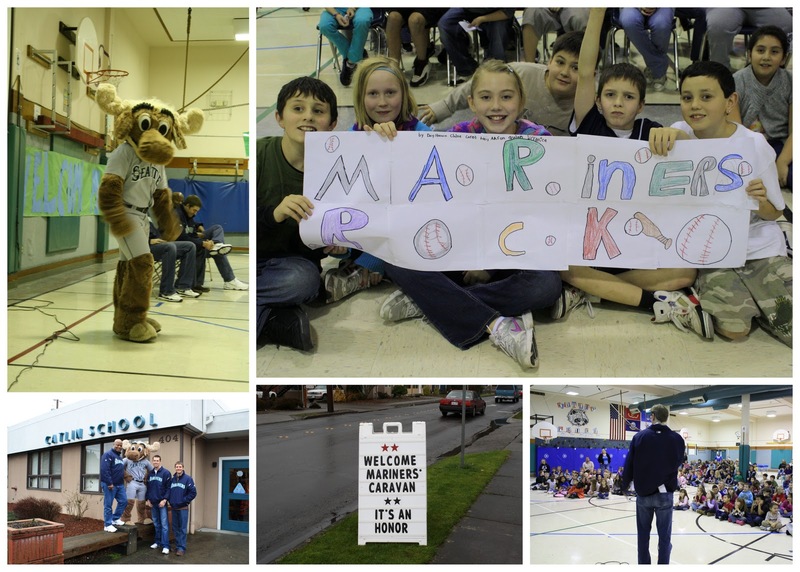 The Mariners Caravan travels around the region during the month of January making stops at schools for assemblies, player meet 'n' greets & autograph sessions in the community & radio affiliates to reach out to Mariners fans in the NW. 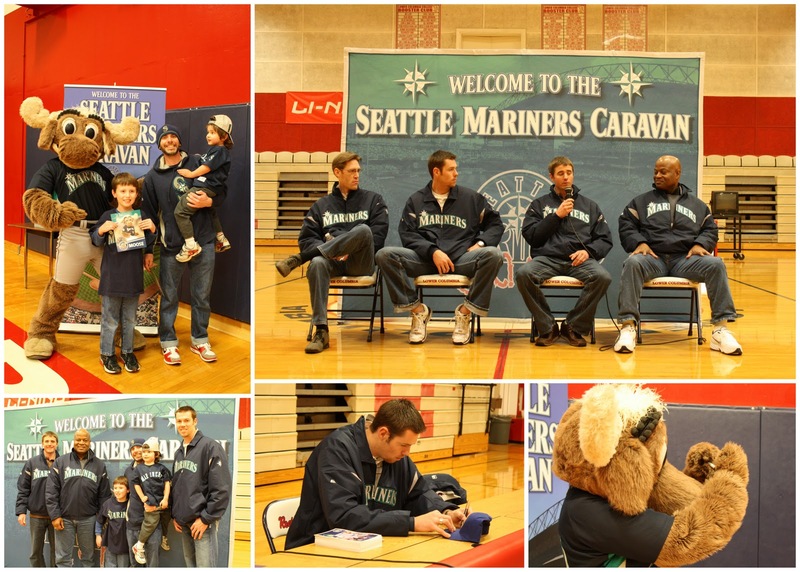 Any time that I can get out in the community and help spread the word that the Mariners aren't just a professional sports team, but also an organization that has a passion for the community & helps to raise funds for meaningful organizations. It's one aspect of my job that I love the most. I don't get to help out often, but when I do, I enjoy every minute of it. At a school assembly in Washington. I just love assisting with these school assemblies because we help to deliver a very important message to the kiddos & they are always overjoyed to have us there! Your job sounds kind of amazing! I would agree with Krysten. You job really does sound amazing. What a cool job! Glad you shared. how can the moose write?